Who’s most likely to get the Shaun Marsh Test call-up from the BBL? We all remember it well – Shaun Marsh, battling a back injury at the time, making a superb unbeaten 99 to propel the Perth Scorchers to a BBL win and four days later playing in the Boxing Day Test. We remember like it happened yesterday, but in fact it came in just the seventh game of the inaugural season of the revamped Big Bash League. The innings that gave way to the notion that, while the domestic cricket calendar is an imperfect beast, ‘a good knock is a good knock’ irrespective of format actually happened back in the summer of 2011-12. Obviously it wasn’t Marsh’s fault he was picked. He just went out, played a memorable BBL knock and won a recall to the Test team that featured Ricky Ponting, Michael Clarke and Michael Hussey below him in the order. It put him face to face with an Indian batting order including Virender Sehwag, Rahul Dravid, Sachin Tendulkar, VVS Laxman, Virat Kohli and MS Dhoni. And yes, for the completeness of this picture, Marsh failed in Melbourne. And again in Sydney. And Perth. And Adelaide. Like, 17-runs-in-six-innings failed. He held his place for the tour of South Africa that followed and promptly made 148 and 44 at Centurion to secure the next stint of his career. But regardless of the outcome, Marsh’s Big Bash 99* set a precedent that remains today. And it doesn’t really matter what you think of the meaningfulness of that precedent; the precedent exists, and it’s been used before just as it will be again. Who is most likely to win the Shaun Marsh-style of Test recall from the BBL this summer? It’s not going to happen as long as he can’t break into the Brisbane Heat order comprising young dashers Max Bryant and Sam Heazlett and a middle order of Chris Lynn, Brendon McCullum, and Joe Burns, as far as I can see. 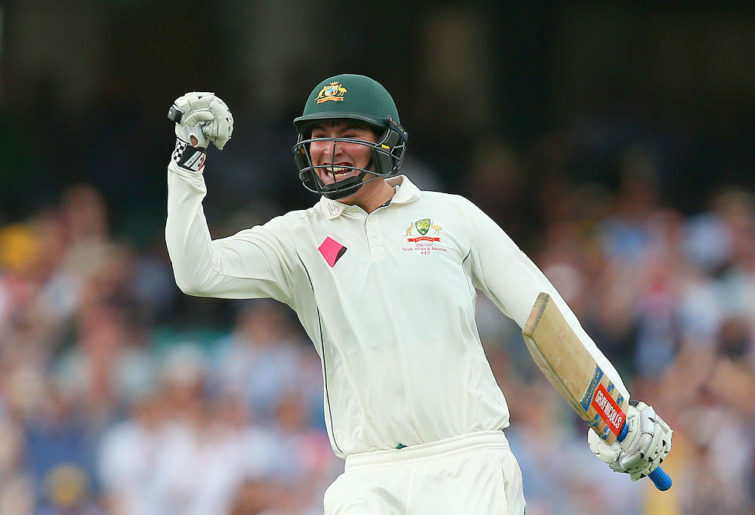 In truth, much of the drive behind a Renshaw recall is coming from promising signs in his first stint and a pretty solid grade cricket season in Brisbane, including a Queensland Premier cricket record score of 345 for Toombul back in early December. Because his Shield record of 199 runs at just under 20 certainly isn’t helping his cause. 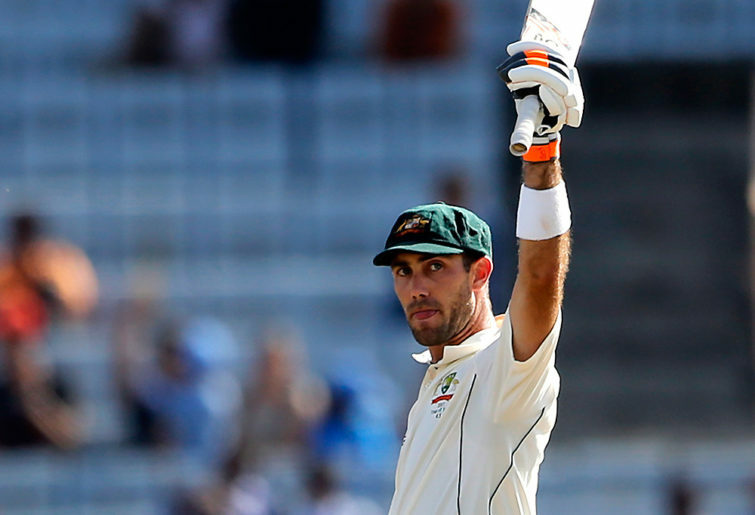 Burns is a popular pick for a return to the Australian order, and plenty of armchair and actual experts had him coming into the side for the Sydney Test starting Thursday. But he’s had as a tough a time in the BBL for the Heat as the Heat have themselves this summer. Scores of 20 (from 14 balls), four (6), and four (9) aren’t exactly screaming ‘pick me’, but in a relatively inexperienced Heat squad Burns is going to remain a crucial cog for the rest of the competition. And with a one-day call-up unlikely, Burns is going to have a few opportunities between now and the Brisbane Test in late January to enhance his already strong case. Another popular choice, and I don’t mind admitting to being part of the crowd that firmly believes Melbourne Stars skipper Maxwell could just as easily perform that same role Marnus Labuschagne has been added to the Test squad to play. Maxwell so far has a four-ball duck in the Stars’ rain-affected first game loss, 47 (34 balls), eight (11), and 33 (22) last night. Like Burns, it’s not knocking-down-the-door brilliant, but Maxwell similarly has a decent first-class record this season, which will help. And any runs that Maxwell makes during his likely involvement in the one-dayers against India can only help too. Maxwell has a distinct advantage over pretty much anyone else in the Test selection frame this summer in that he should get a chance to add to his case against an international attack. He still seems the obvious choice in this field. I’m going to admit up front that I’m not a Stoinis fan. His bowling is more than useful in limited overs, to be fair, but his batting is far too loose to solve any of the abundant technical deficiencies in the Australian top order. If I’m to remain honest, I don’t see that Stoinis is any further advanced as a cricketer as Mitch Marsh. But his unbeaten 78 for the Stars to win the Melbourne derby last night was exactly the sort of innings that is going to get noticed by national selector desperate for something, anything, to turn around the fortunes. A couple of Shield 80s for Western Australia will help and, like Maxwell, he’ll get opportunities during the one-dayers too. It’s a hard pass from me, but nothing surprises me about selection any more. Stoinis is going to be in the frame. Matthew Wade has backed up an impressive Shield season with two more BBL 50s at the top of the Hobart order. As a Test batsman Wade averaged about eight runs fewer then Tim Paine does, but he’s probably the form batsman in Australia right now. Cameron Bancroft is available again, and the clear failure of Aaron Finch as an opener means that anyone capable of facing the new ball is going to be looked at. He hasn’t started well with a three-ball duck, but he’ll get two more BBL chances this week alone. And to finish, I wonder what former Test No.3 Alex Doolan needs to do to get noticed? ‘Runs’ is the obvious answer, and his 41* against Perth on Sunday is his only BBL score of note this summer. He sits quietly among the top Shield run-scorers and has been opening for Tasmania this season. I’m sure someone will emerge from the BBL with a baggy green before the season is done, it’s just a matter of who can pull off the Shaun Marsh innings.